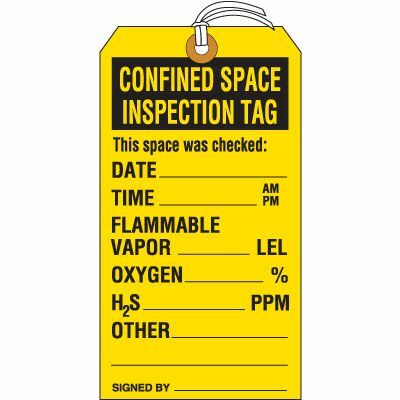 Warn of machine and chemical hazards, locked-out equipment, confined spaces and other potentially dangerous situations in your facility with safety tags. 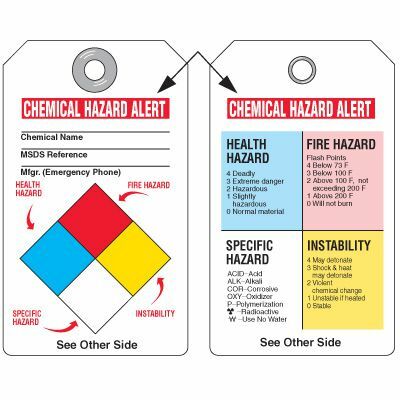 Emedco carries a wide selection of tags including OSHA safety tags, chemical and biohazard tags, tags for food safety and much more. 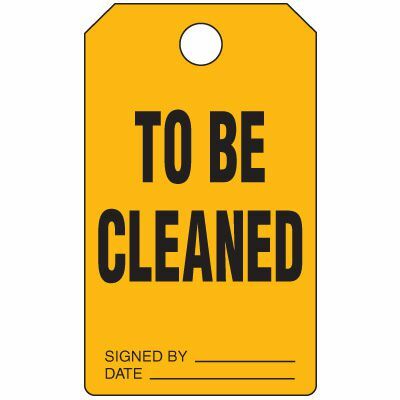 Our tags are made from plastic, Tyvek, cardstock and stainless steel, ensuring every working condition within your facility is covered. 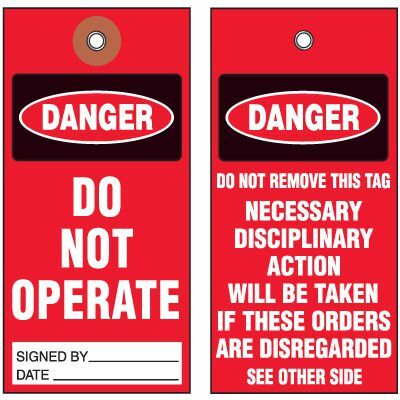 Safety tags, along with safety signs, are necessary in warning employees of the many hazards within your facility. Since our tags are available in different materials, it's important to know which type of tag is best for which condition. Plastic tags - our plastic tags are made from .020" thick plastic; ideal for harsher indoor and outdoor facility conditions. Tyvek tags - Tyvek is a lightweight tear- and fire-resistant material and is ideal for use in high temperature areas. Cardstock tags - cardstock is not as durable as plastic or Tyvek; use cardstock tags indoors. Stainless steel tags - stainless steel, like is our stainless steel food safety tags, is extremely durable; ideal for use in the harsh outdoor environments.